This project was in an early 1900’s Tutor in South Orange. The client presented us with a picture from the Devon & Devon website as the concept that wshe wanted to achieve. 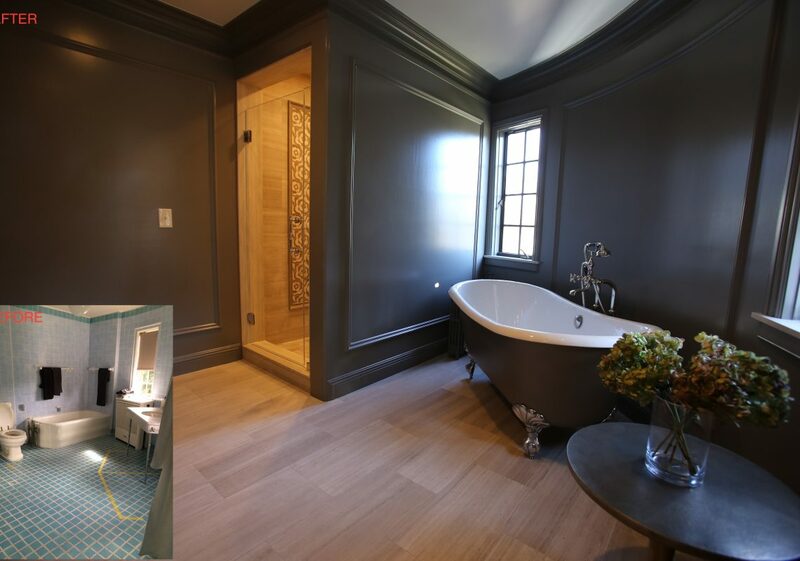 As you will notice the paint color was different than the original pic, but all details were executed and installed with some creative additions. In addition to the concept we added a hidden linen closet (as shown in picture) to eliminate clutter in the bathroom while remaining true to the simplicity of the design. 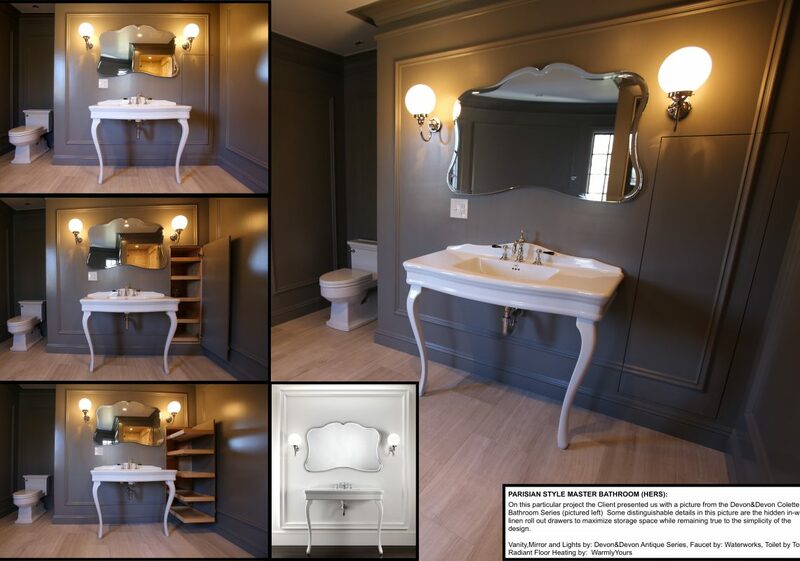 Some of the other feateures were radiant floor heating from Warmly Yours, Light fixtures, Vanity, Mirror and Freestanding Soaking Tub were from Devon & Devon Colette Series. The Faucet, Shower and Tub Faucet were custom made to order by Waterworks. Overall a beautiful design and excellent details made this a fun and creative project to design and build.